the world’s leading Futures, Forex, Stock and CFD markets. NinjaTrader is always FREE to use for advanced charting, backtesting & trade simulation. 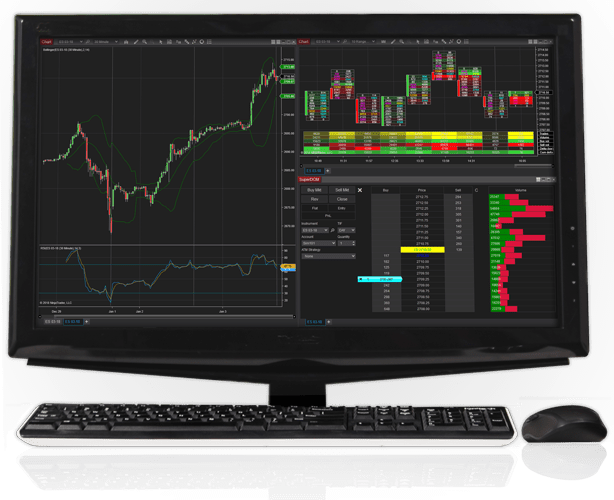 Use custom apps built for NinjaTrader to personalize your trading charts & further focus your analysis. Use over 80 individual metrics to gain a deeper understanding of your trading performance. Track the world’s largest market using the FX Board to capitalize on market moves. Leverage additional analytic tools including Time & Sales, Level II, Hot Lists, News, and more.